Vintage charm and local history combine in this unique mid-century home, just steps away from the beach and from downtown Pacific Grove, with ocean views from most windows as well as superb vistas of the bay and nearby historic homes from a sheltered second-story deck. The 3-bedroom, 1-bath home is close to everything and yet has a great sense of privacy, surrounded by fencing and landscaping that hides the home from view. Built in 1948, the residence was originally the parsonage for the Lutheran Church of Monterey, and has had only one other owner since then. The 1,400-square-foot house is just a 5-minute walk from shops and restaurants in downtown Pacific Grove, or to the beach and the Monterey Bay Recreational Trail. It’s also a 10-minute walk to Cannery Row and the Monterey Bay Aquarium. The Pacific Grove Municipal Golf Course is just a few minutes away by car, as is the monarch butterfly sanctuary and Asilomar State Park. Downtown Carmel-by-the-Sea is also just a few minutes away by car, offering fine dining, shopping and day spas, and it’s also a 10-minute drive to golfing in Pebble Beach, or 20 minutes to wine tasting in Carmel Valley. Upon your arrival you will be greeted with complimentary cheese and wine or sparkling cider, tickets for a wine tasting at Scheid Vineyards’ tasting room in downtown Carmel-by-the-Sea and a basket of local information. An assigned concierge vacation house manager is available to assist you during your stay. We have also provided spa amenities in the bathrooms, spa robes and beach gear with everything you need for a day at the beach including chairs, blankets, towels, umbrella and cooler. Two entryways offer convenience for guests, with a front door that enters into the living room, and a stairway to the deck and kitchen from the ground-level garage and driveway. Drought-resistant shrubs and flowers are planted in the small yard, in addition to native live oaks. 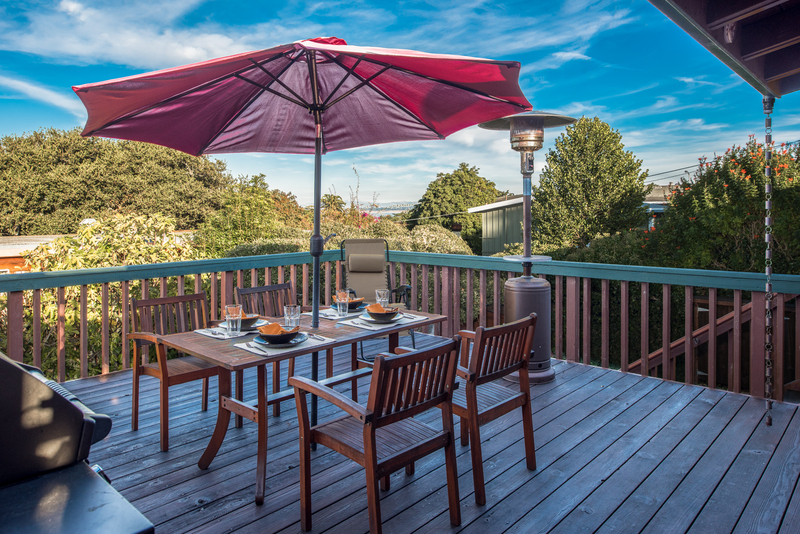 The spacious deck offers a gourmet gas grill, an outdoor table and chairs, and a patio heater that allows you to enjoy the ocean view on cool days. Adjacent to the deck is the kitchen, which has original cabinetry enhanced by updated tile countertops and backsplash, newer appliances and a four-burner gas stove, as well as a corner sink with large pull-out faucet. 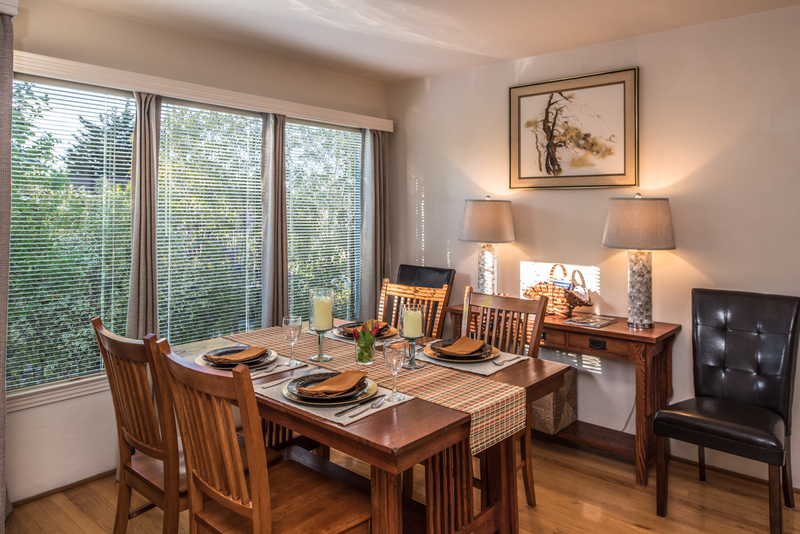 Next to the kitchen is a dining room with seating for six around a mission-style wood table. 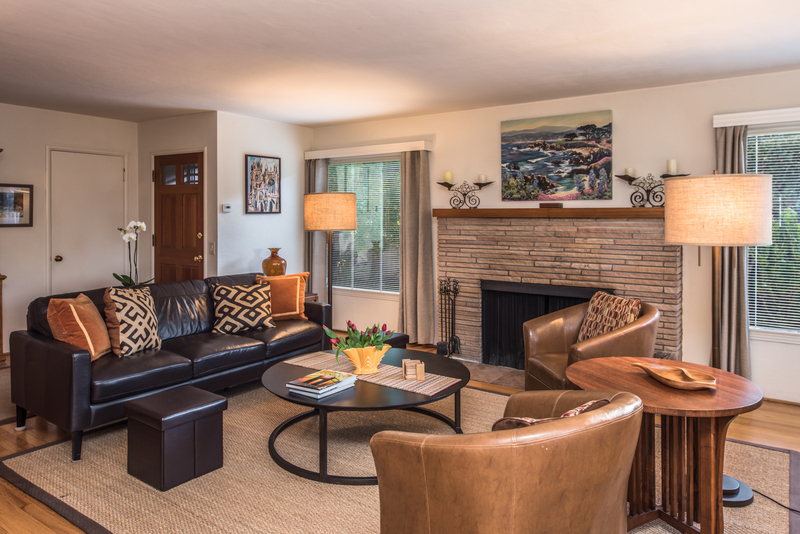 The living room features a mix of mid-century and other period furniture around a layered stone wood-burning fireplace, the perfect place for enjoying board games or conversation, or watching the 40-inch HDTV. Large windows let in abundant light and hardwood floors are found throughout. Enhancing the décor are original paintings of the coast and nearby sights. The master bedroom features a king-sized bed with a quilted coverlet in tones of blue and beige as well as nightstands and seating. 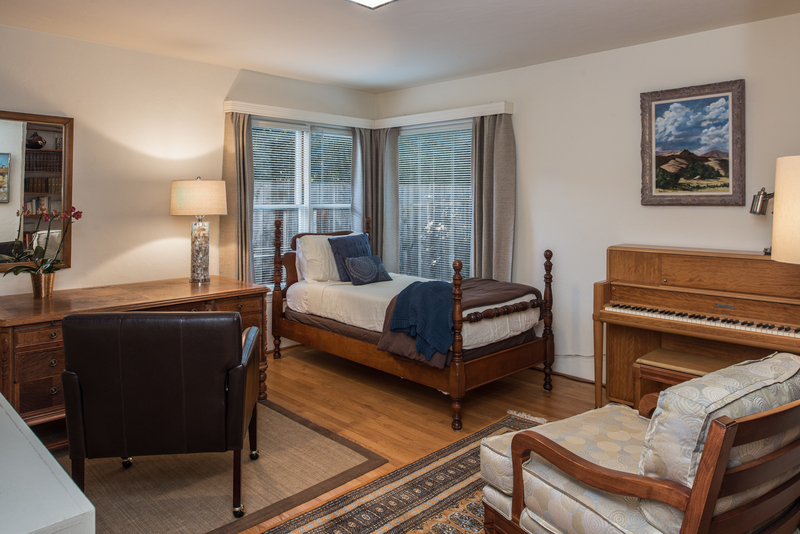 A second bedroom has a queen bed, while the third, in the former parsonage office, features a single bed, library with a large desk, and an upright Steinway piano. The hallway bathroom has a tub/shower combo with tile floor, vanity with Corian top, and ample storage space. A laundry room with washer and dryer is available on the bottom level next to the one-car garage, which has room for one small vehicle plus storage space for beach gear and other items. Parking for one other vehicle is available on the street. Well-behaved small or medium-sized dogs are welcome. There is a long-term furnished one bedroom apartment on the lower level next to the garage. As of May 1st 2019 this home will be available for monthly rentals only as the Short Term License is being revoked by the City of Pacific Grove in an effort to limit the number of short term rentals in the city. The homes which had their license revoked were selected by a random lottery held at the City of Pacific Grove offices. *There is an additional fee for pets. * Guest stays of 30 days or more are not subject to tax; Guest will also be responsible for utility charges (Electricity, Gas and Water), mid stay cleaning fees and a security deposit. 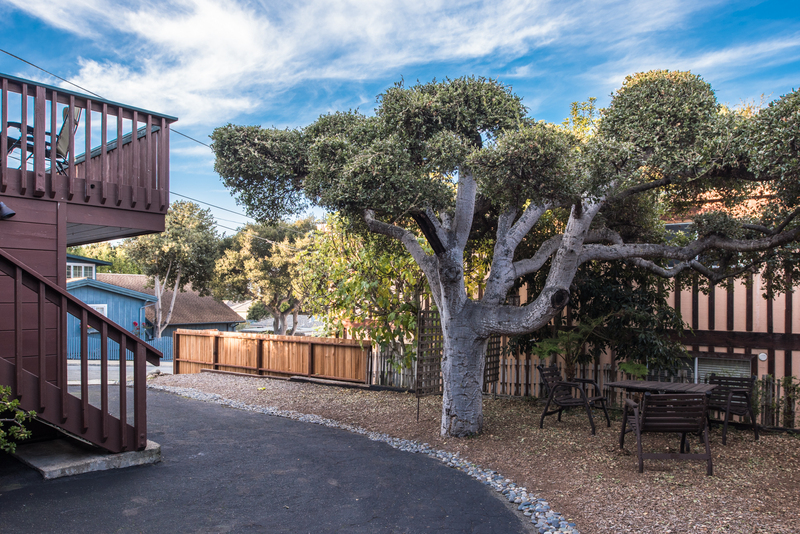 **As of April 1st 2019 this home is available for monthly rentals only as the Short Term License is being revoked by the City of Pacific Grove to limit the number of short term rentals in the city. The homes which had their license revoked were selected by a lottery held at the city offices in May 2018. Guests stayed in november 2018 ~ Reviewed on Homeaway ~ 5 out of 5 Stars! "Everything we had hoped for and then some! We rented this house for a five-day relaxing get-away to celebrate my husband's 70th birthday. It was everything we had hoped for and then some! The house, itself, is spotlessly clean and very comfortable with attractive furnishings and a well-equipped kitchen. (The Calphalon pans are terrific!) And the location is perfect. I walked our dog daily along the coast, and we walked to our favorite restaurant near Cannery Row. Downtown Pacific Grove is just minutes away. I was somewhat concerned about traffic noise since the house is on Lighthouse Drive, but traffic along that portion of Lighthouse is minimal, and the landscaping and wall along the front yard provide total privacy. We would definitely stay again!" Maximum Occupancy: This home sleeps up to 5 guests. 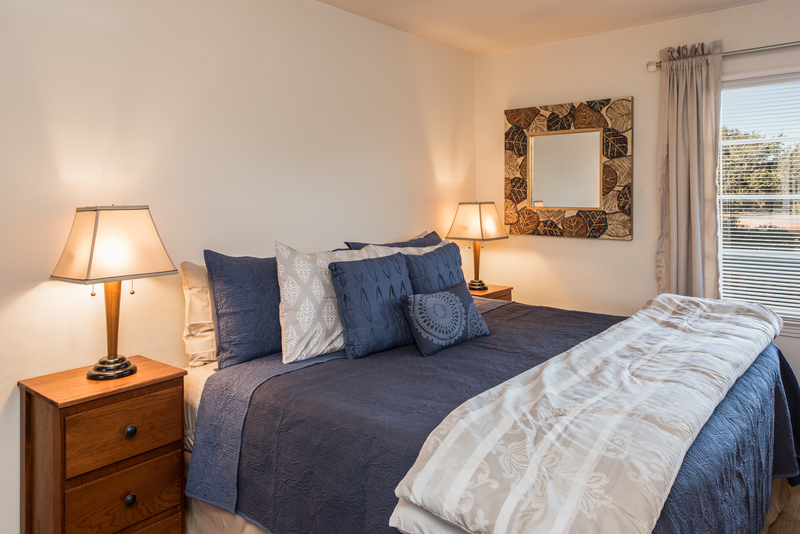 Note: All three bedrooms share a full bathroom which is accessed via the hallway.